Question #1: What defensive tackle steps up next to Grady Jarrett? Dontari Poe was one of the finer offseason acquisitions made by Thomas Dimitroff in his decade-plus guiding the Falcons’ ship. Due to financial reasons, however, Poe’s tenure in Atlanta was short-lived as he ended up signing a 3 year, $28M deal with the rival Carolina Panthers this offseason. In Poe, the Falcons have to replace a player that logged 74.67% of the defensive snaps and finished with 37 quarterback pressures. Poe’s pass rush presence was so important, in fact, that in games where he had two or more pressures last year, the Falcons were a remarkable 10-0. With that said, how the Falcons replace Poe will go a long way in determining the future outlook of the defense. Between Terrell McClain, Jack Crawford, and Deadrin Senat, the team appears to be going with a committee approach, but the preseason should provide more clarity on the situation. Question #2: What’s the plan for the Falcons nickel defense – where does Isaiah Oliver fit in? In conjunction with the previous question, what is Dan Quinn and Marquand Manuel’s plan for the nickel defense? Does the team in fact rotate the aforementioned three defensive tackles next to Jarrett or, like Poe last year, do they settle in on the best one and ride their four horses to the finish line? Also, how does their highly touted second round pick Isaiah Oliver fit in to the equation? Has he unseated the incumbent nickel cornerback Brian Poole for snaps in three cornerback sets? Vaughn McClure reported early in camp that Poole was still working with the first team nickel defense while Damontae Kazee backed him up. Speaking of Kazee, does the team plan to utilize more three safety looks given their depth at the position? Clearly, there’s a lot to be answered by having such a deep defensive group. Question #3: How does Duke Riley look in year two following an injury-riddled rookie season? One of the biggest takeaways thus far from training camp has been the play of rookie linebacker Foye Oluokun. Oluokun first drew praise from special teams coordinator Keith Armstrong, which is no small task, for his football IQ in rookie minicamp. However, the compliments didn’t stop there as Dan Quinn singled out Foye as a player to watch during an interview with the NFL Network before the Falcons open practice at Mercedes-Benz Stadium. With Duke Riley not having earned anything in his rookie season, the pressure is on for the 2017 third round pick to hold off this year’s sixth round pick for the starting weakside linebacker job. And Riley knows it, too. The status of the weakside linebacker spot is an important one moving forward. With the Falcons committed to showcasing De’Vondre Campbell more as a pass rusher, the only way they can do that is if they have a reliable option next to Deion Jones in the nickel defense. The Falcons drafted Riley to be that guy, but injuries got in the way in 2017. Now healthy, the 2018 preseason will be our first glimpse into how that plan is coming along. Question #4: Who do we see taking the majority of the reps for the open roster spots? As I noted in my camp battles to watch article, there are only a handful of roster spots up for grabs. FB, OL9, DL9, and LB6 highlight the list of positions to keep a close eye on. While we are all curious how the first team looks, the play of the second and third teams will provide the most drama this month. Like Duke Riley, this is a big stage for another member of the 2017 draft class; that being Sean Harlow. The offensive line is as deep as it’s been in recent memory, so it’ll be interesting to see if Harlow still has a future with the club or if he’s a victim of the numbers game. Question #5: Who is this year’s Jermaine Grace? We already mentioned Foye Oluokun as an underrated player that may turn into something special. But let’s be honest, is a draft pick really someone that’s off the radar? While Oluokun and Jermaine Grace have similar skill sets, Grace came out of nowhere last year as an undrafted free agent to land a spot on the 53 man roster. As it stands now, at least one undrafted rookie will do the same this year. Will it be running back Justin Crawford who has turned heads so far as the fourth running back? Or perhaps one of the bevy of undrafted linebackers – Emmanuel Smith, Emmanuel Ellerbee, or Richard Jarvis – follow in the footsteps of Grace and become this year’s sixth linebacker. 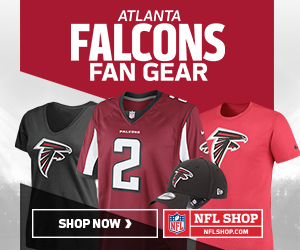 What are some of the things you are most looking forward to see from the Falcons this preseason? Sound off in the comments section as we pass the time before opening kickoff.